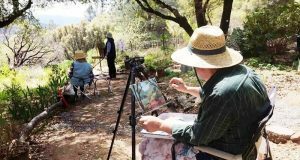 YOSEMITE — While attention has been focused on the South Fork Fire which prompted the evacuation of Wawona last Saturday, the Empire Fire continues to burn near Bridalveil Campground, which is closed to the public to house South Fork Fire firefighters. The fire continues to creep through red fir timber, litter and understory, dormant brush and hardwood slash. There are pockets of green leaf manzanita and chinquapin brush as well as heavy dead and down material. The lightning-caused Empire Fire is burning one mile south of Bridalveil Campground in Yosemite’s Wilderness. 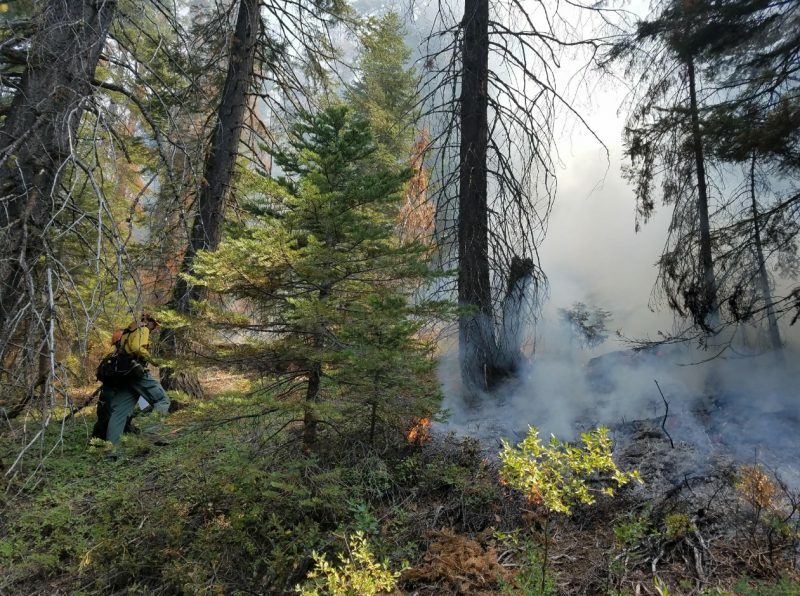 Though the management tactic for this fire is “monitoring,” there are 32 firefighters assigned to the incident who continue to improve existing lines and trails around the perimeter. Monitoring a wildfire is a fire management tactic used by fire officials when strategizing an incident response. 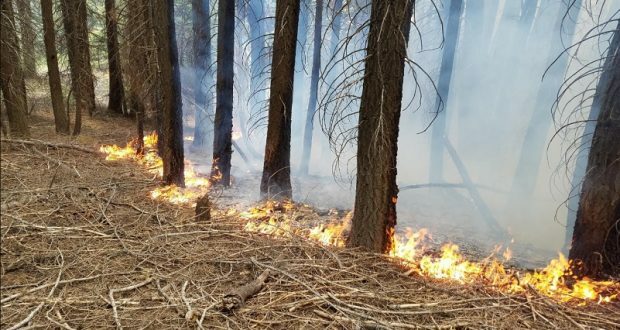 The contributing factors that factor into the decision-making process are often specific to the incident, and include location, available resources, predicted weather, topography, air quality and predicted fire behavior. 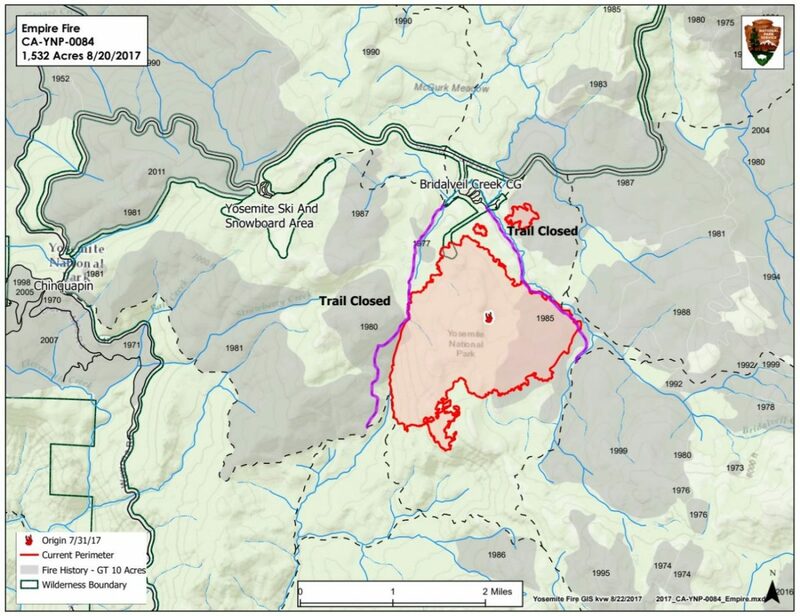 Trails are closed from Bridalveil Campground to the second junction with the Ostrander trail. Westfall Meadow to the Deer Camp junction, along Alder Creek remains closed. Signs are placed at the affected trails. There are no threats at this time to infrastructure at Bridalveil Campground and the remainder of hiking trails in the area remain open at this time. The smoke continues to be visible from the high country and may be seen from multiple viewpoints in the immediate area off Glacier Point Road and affect surrounding communities, especially in the morning hours.